I was 20 the year I lost my purpose. I had just gotten back from living my dream. One of the non-profit organizations my parents had supported financially sent hospital ships to third world countries. Every month the newsletter with pictures of head-sized tumors, babies with cleft palettes, and post-surgery smiles captivated me. 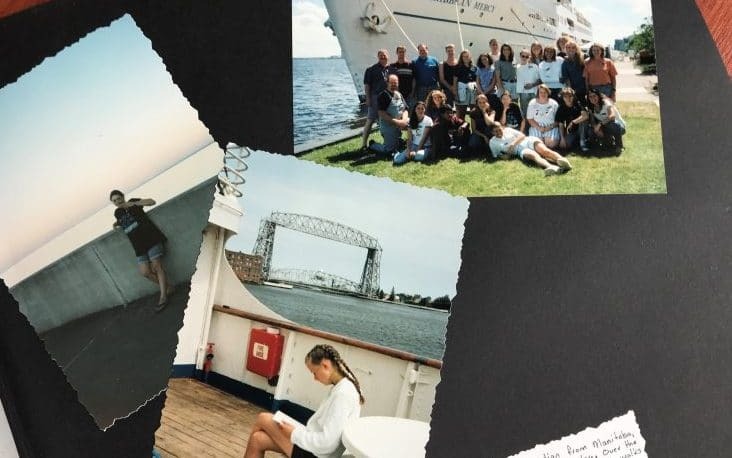 I’d linger over stories of volunteer doctors and everyday people who served on the ship using their skills to perform operations, hold community development training, teach the kids of the crew, and run the cafeteria. An adventure of faith. Changing lives in practical heart-melty ways. Hearing stories from around the world. I had no desire or vision to be one of the doctors, nurses or professionals. Serving those who were there to do the frontline work sounded fulfilling enough for me. For three years I stashed away money I earned. After graduating, working for a year and getting an online administration diploma, it was time. I applied to do a 5-month discipleship school on one of the ships. Hungry to serve Jesus, who I loved with all my heart, learn more about the Bible and experience the adventure, this seemed like the best of both worlds. This organization’s culture was big on faith. I had heard stories about people who had served for a few months with every intention of going back to their normal life. At the end of their term, they’d feel a sense a calling to stay for another two years – and often it was the worst thing in the world. They fought the call, tried to argue with God, kicking and screaming before reluctantly giving in. I secretly hoped that would happen to me. I wanted something different for my life. What was the point of just picking a career path, waiting to meet someone to marry and living a “normal” life? So I left for Duluth, Minnesota where the ship was docked during its PR tour. I devoured the training. I plunged into frigid Lake Superior and ran around obstacles in a fire suit for ship crew basic training. I got excited about dish washing chores – a task that had clear expectations, a beginning and an end and a skill I could master. International staff members intrigued me with stories of their experiences on the ship. Cataloging donated eyeglasses was fun. But I’ll never forget the tearful “wow” smile of a Guatemalan woman who I helped find a pair of eyeglasses. It was the same “wow” grin I’d had at age 7 when I put on my first pair of glasses and saw blades of grass in the lawn and leaves on trees instead of a blur. But living my dream wasn’t all bliss. Much of the time I felt lost, awkward and homesick. As an introvert at home, I had been content to spend hours alone, writing, walking in woods or disappearing into novels. On the ship, I was surrounded by people. When they were ready to have fun, I craved solitude. When I wanted to connect, it felt weird. After 5 months of new experiences, friendships and perspective, the final week approached. The other 22 students chatted about their plans. Some had decided to stay on the ship – just like the stories I had heard. Others planned to go back to university, get married, or figure out what a new relationship would look like. I was getting desperate to know my purpose and direction. I felt lost. If God created me, wasn’t it His job to show me my purpose? One wrong choice and it could change the trajectory of my life. And if it wasn’t significant, what was the point of life? I begged God to call me to stay on the ship longer. Figuring out the financial support part sounded like hell, but I figured if He called me, He’d provide. Go home. I want you to stay in Canada and impact your own generation. So I returned home, feeling more lost than ever. Everyone at home was continuing on with their lives. I didn’t know a soul in the young adults group. I had just experienced something unique and life-changing and I didn’t have anyone to talk to about it or process it with. I had a crappy sense of purpose. Broke, I returned to my job to restock my savings. Maybe I could at least do similar school somewhere else. My lack of vision, lostness and loneliness nudged me into a friendship with another loner. She needed a friend and I naturally gravitated to the wallflowers. Her dark secrets and emotional baggage gave me a sense of purpose in the most unhealthy way. I didn’t know where I had value anymore, so I became everything she needed me to be. I spent every spare moment with her, giving and giving. Choice by choice, my remaining few life-giving friendships grew distant. Activities I once loved faded away. Still mad at God for not being clearer about my direction, I made little choices I knew He didn’t approve of. Until I became a hollow shell, void of identity, purpose and joy. I was depths away from creating a life I loved. I didn’t even realize how empty I was until the night I came home from work and started crying, heaving unstoppable sobs. That same week I was evicted from my basement apartment to make room for the landlord’s brother, got a stress leave note from my doctor, quit my job, and received notice that I hadn’t gotten into the school I had applied to. My life became a blank slate for starting over… but that’s a story for later. Have you discovered the immense cost of not knowing your purpose? Or not thriving in it? It took me years to understand what had been going on inside me then. 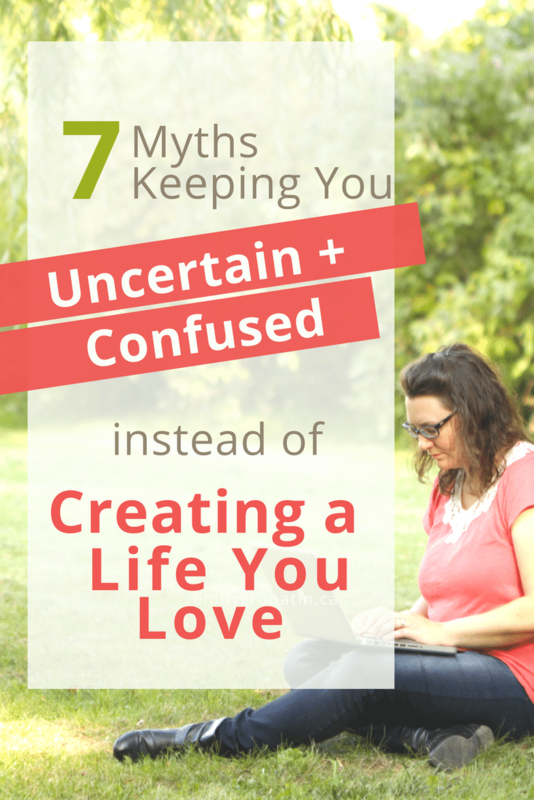 The myths I believed about my purpose and identity caused me to ignore the red flags warning me I was choosing a soul-sucking path. 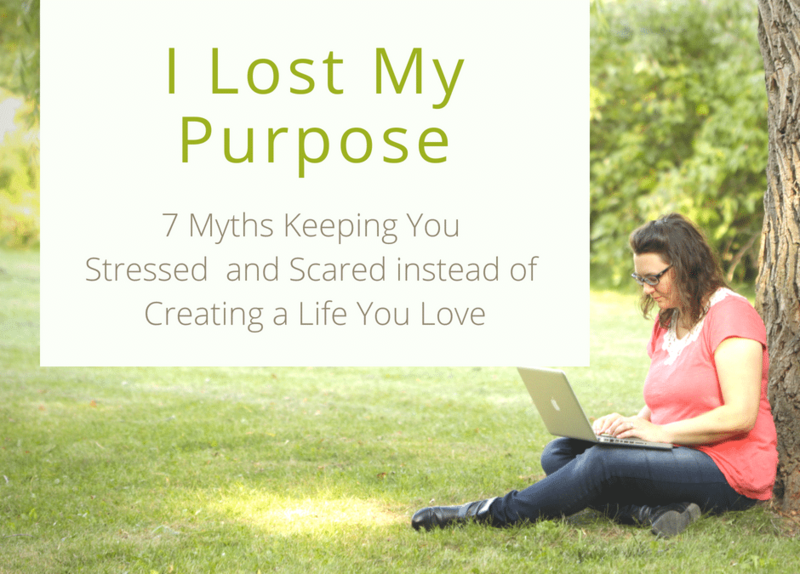 Over the next 10 years I recognized patterns in my life that revealed more myths I had believed about having a purpose. Can you relate to any of these myths? 1. 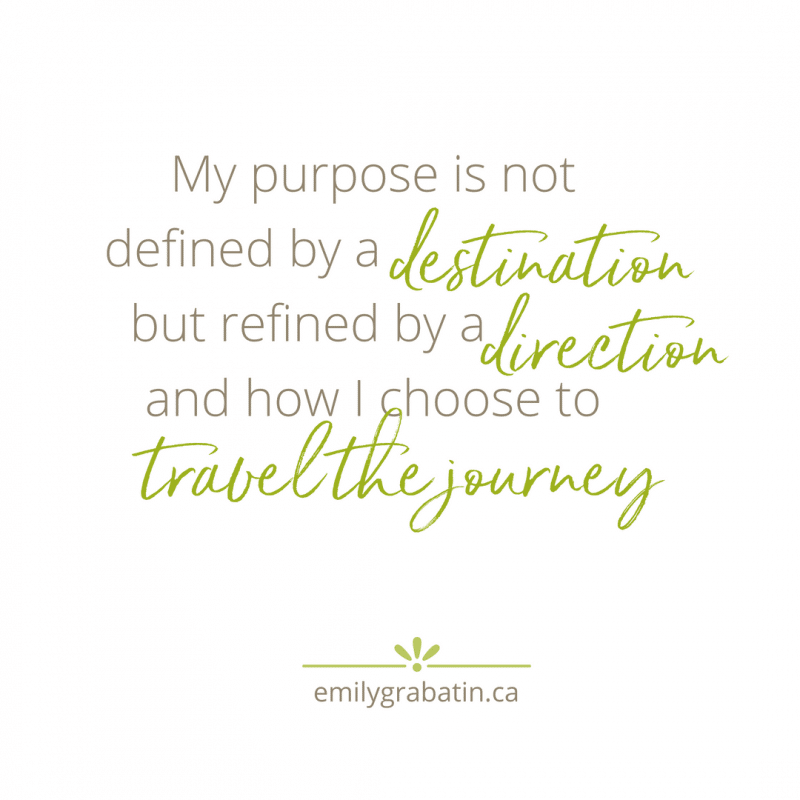 My purpose is about finding the right (or pre-destined) destination for my life. If I miss it, I risk screwing up my entire life. to do with their life. The pressure and panic returns when they graduate university and realize they need to choose their job. Because they have tied their purpose solely to their career, accomplishments and the success of their life direction and not making the wrong choice, they become disillusioned and depressed. Truth #1: Though I might feel called to make a specific impact along the way, my purpose is not defined by a destination, but refined by a direction and how I choose to travel the journey. 2. My purpose earns my value and worth by doing something helpful or significant. “I need to find my purpose. I feel like I’m dying inside and I don’t know what to do.” The client sitting across from me in a coffee shop choked out the words with tears. It certainly got my attention. I had thought we were going to dive into career transition exploration. Clearly, we had some foundational work to do before we could get to that. Within 30 minutes, we uncovered the core of what purpose meant to her and why she was so desperate for it. She realized that because of cruel, thoughtless words spoken over her, she felt like she had no value. Her striving to have purpose was her means to earn value. We began to shift her perspective to, recognizing her purpose and contribution to the world was an expression of value she already had, not a reason to earn love and acceptance. 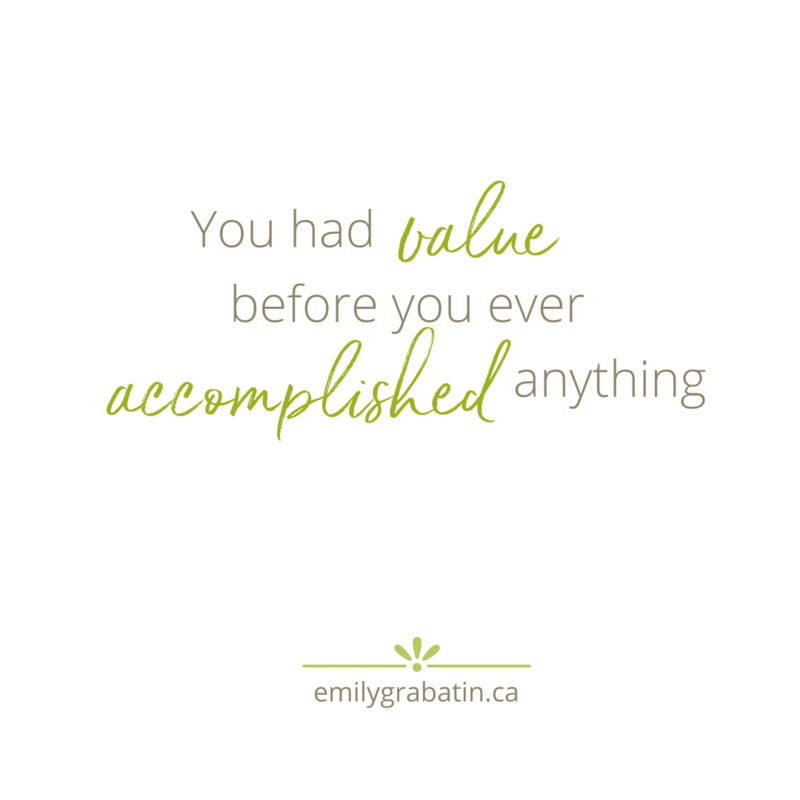 Truth #2: I had value before I ever accomplished anything. Because I was created with love, I was also given purpose. I’m invited to make an impact only I can make through my approach, experience and strengths. 3. My purpose and value depend on my success and status. This myth wrecks us the moment failure crashes into our life. Even more devastating is that failure is magnified by our perceptions. I had to bust through this myth the year my first husband told he never loved me and didn’t want our marriage anymore. a lower exam mark than you hoped for. Basically, we’re believing this myth when we allow disappointment and failure to cripple us. Truth #3: My purpose is often revealed, refined and reshaped through life’s pain, failures and disappointments. If this myth has you paralyzed and stressed, you’re not alone. “What’s the most frustrating myth you have believed about finding or living your purpose that held you back WAY longer than you wanted?” I asked a bunch of my online entrepreneurial friends on Facebook. Anna, a former therapist and a successful business coach and mentor I adore, said this was the lie that had held her back in life. 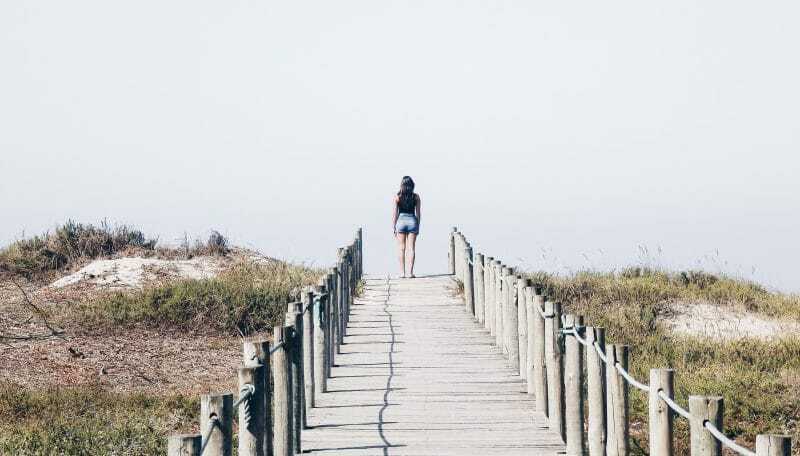 Beth said she felt overwhelmed trying to choose her direction because, though she had so many interests, she didn’t love one thing enough to commit her life, debt and working for others to do it. I could definitely relate to that in my story. Truth #1: My purpose can complement and be expressed in any season, role or direction in my life. Students aren’t the only ones who limit their understanding of purpose around their career. Mom-guilt is the nemesis of purpose! Several homeschooling moms told me that they felt horrible for deciding to pursue a career. Some decided to run a business or pursue their passion while still homeschooling. Others let go of homeschooling – something they had felt called and determined to do for years – so they could focus on a career or business they loved. Other moms had the opposite pressure. They chose to stay home to focus on raising their kids with their full attention and gave up work and a career they were great at. Mom-guilt is real. But when you can release the guilt and striving, you have the peace and trust to lean into and be present in the season and role that’s calling you. Truth #5: My purpose is more than a role, a job or a task. It’s a noun and a verb. It’s about BEING first, then DOING. My purpose can thrive when I’m fully present and trusting in each season and role. Okay, really this myth just covers a multitude of variations of beliefs that I’ve seen keeping gifted, beautiful humans from the potential that seemed so obvious to me. It kept me back when I was blind to potential others saw in me. It makes me angry because it’s so subtle most people don’t even realize they could believe something different. It steals years of life that could have been lived shamelessly, freely and unapologetically. So where do these myths come from? Your belief system could exist because influencers share opinions that no one publicly refuted or questioned. It could have emerged when our parents instilled their values in us – either because their parents instilled it in them or as the outcome of them rebelling against their parents’ way of life. It can be shaped by the cultures of your church, your religion, small towns, large cities, countries or neighbourhoods. Here are some of the subtle messages that can have a big impact on our sense of purpose, self-esteem, what we believe is possible for us. Have any of these limited what you could have been or achieved had you realized it earlier? Truth #6: I am a masterpiece, created with skills and gifts to do incredible things and invited to participate in a divine story much grander than my own. I can live my purpose where I’m at now. I can also live it busting through glass ceilings. 7. I must know everything about my purpose before I choose a direction or take action. 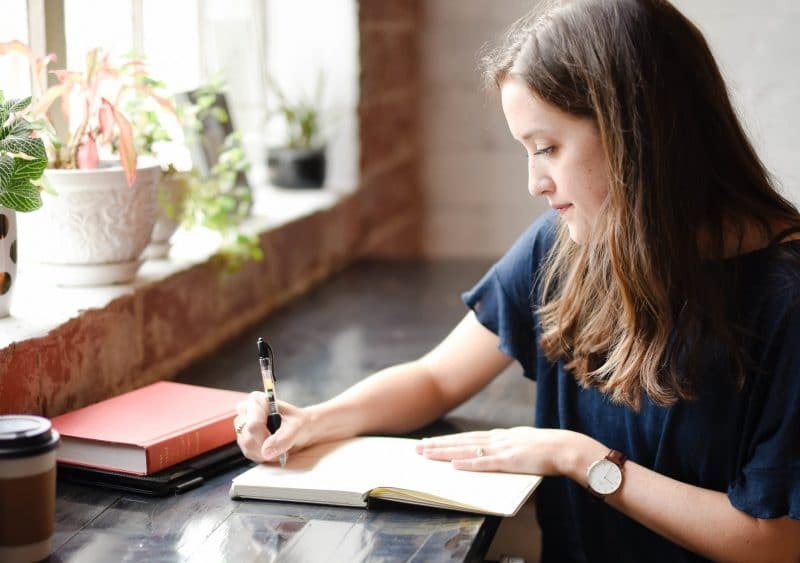 Chances are if you’re a perfectionist like I was, or you’re someone who is detail-oriented and thorough, you carry this belief in many areas of life – starting a side-hustle, starting an art project, writing this blog post [eh-hem]. This is a big myth that kept me stuck in choosing my education and career direction when I was in my twenties. In other words: You can’t steer a parked car. Truth #7: My purpose potential expands through my character development, strengths, skills, experiences, passions and how I respond to the needs around me. The more I take action, the more I discover and the more my purpose can flourish. Bottom line: What does creating a life you love look like in the season you’re in now – in your business, your ministry, your home, your writing, your message? What would you love to look like in the future? Share your thoughts in the Made for More Community on Facebook. If you’re needing a clarity or a breakthrough in how myths you believe are holding you back from stepping out into your calling or impact dream, book a discovery call here to see if a Crossroads Breakthrough Intensive would help you move forward. Thank you Emily. I so desperately needed to hear every word of this today. I’m so glad it found you at just the right time. I just finished this blog. It is a great read and certainly did it’s job innhekping me re-think things. So kuddos to you! Keep doing what you’re doing. I’m glad it helped you rethink things! And thanks for the typo heads up.